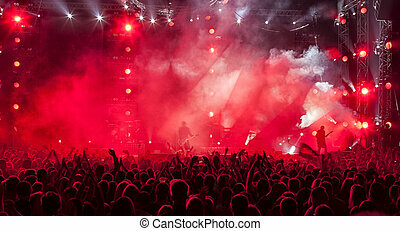 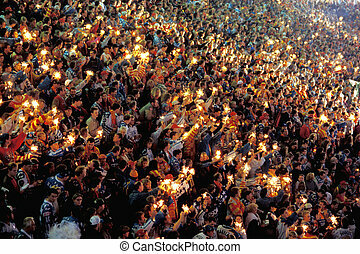 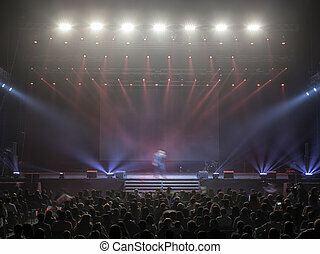 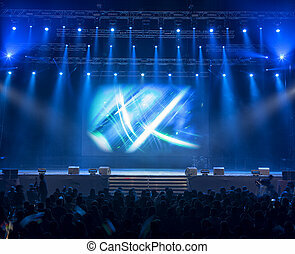 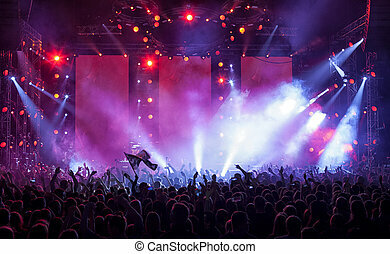 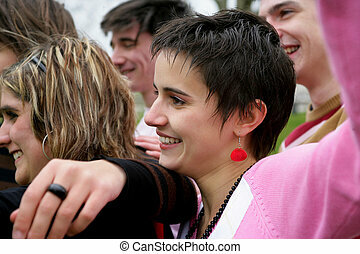 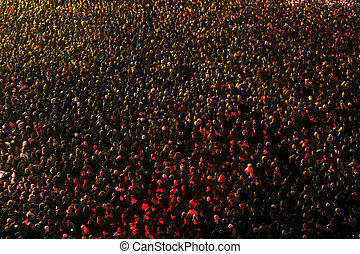 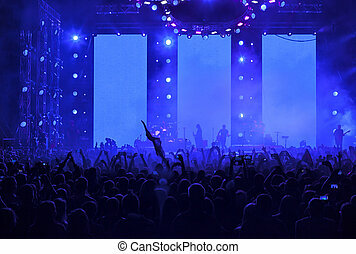 A crowd of people concert. 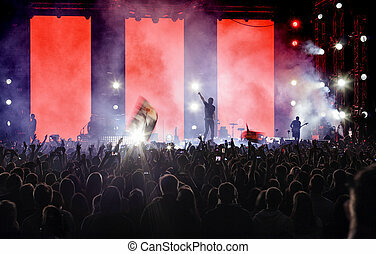 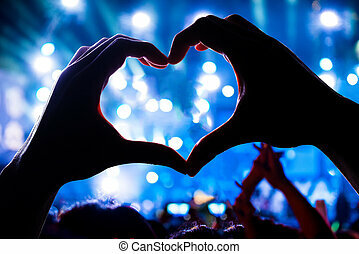 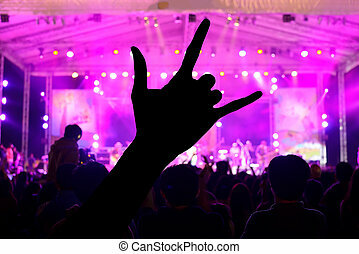 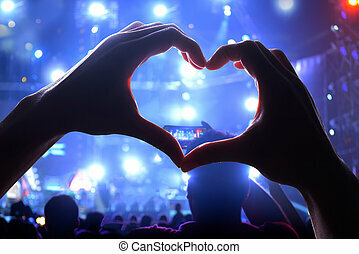 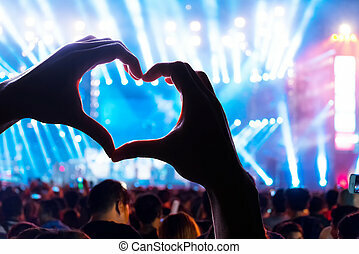 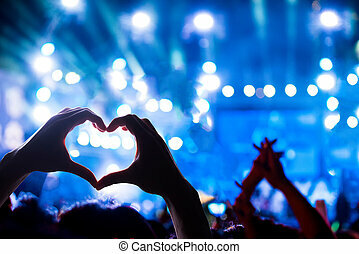 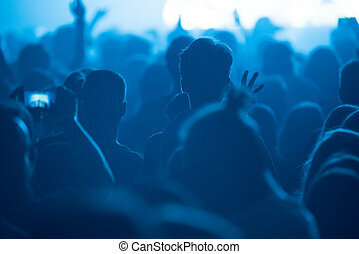 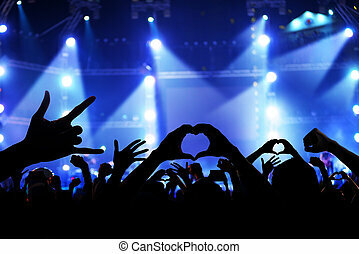 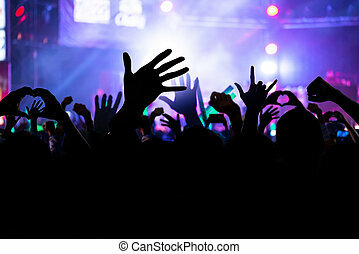 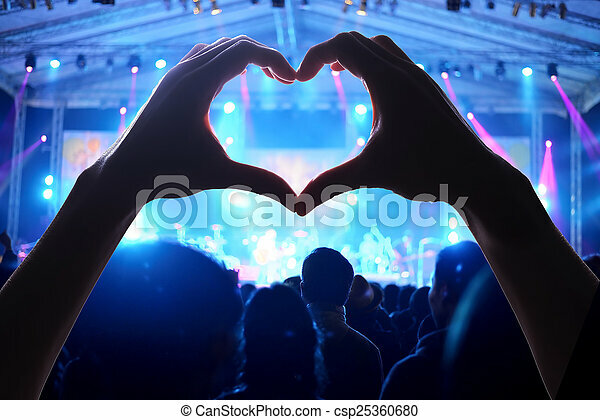 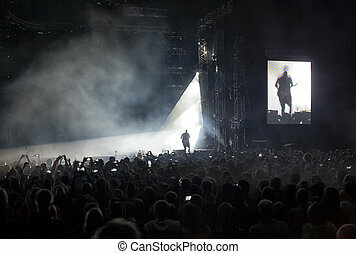 A crowd of people at during a concert with a heart shaped hand shadow. 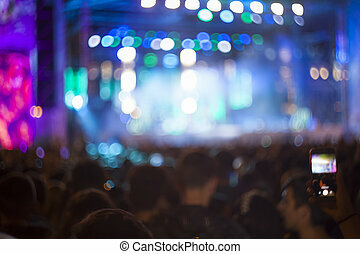 Silhouettes of a crowd of fans in front of bright scene lights. 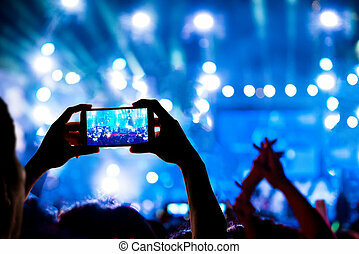 Silhouette hands of audience crowd people use smart phones enjoying the concert. 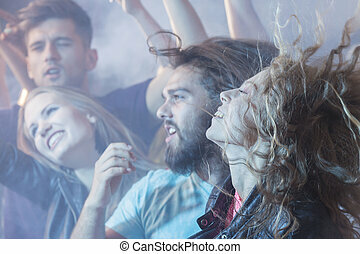 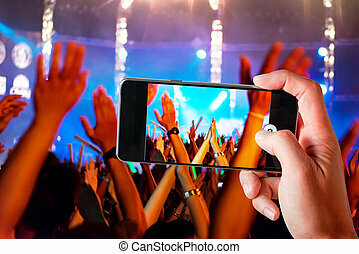 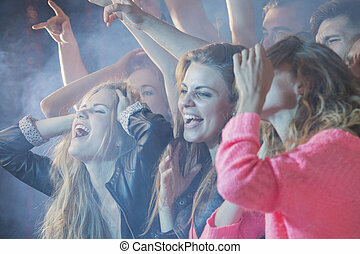 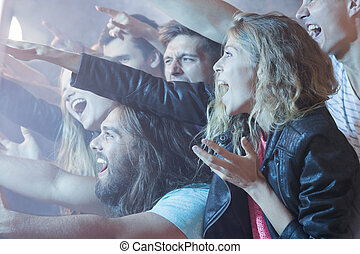 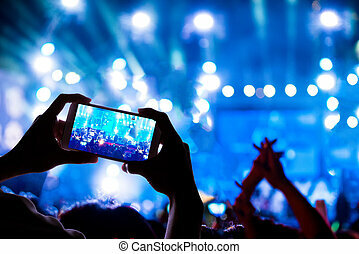 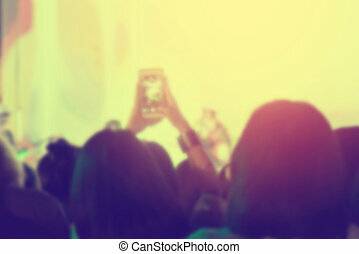 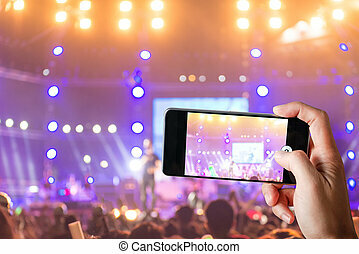 audience crowd with the power of live concert, silhouette hands of people use smart phones enjoying the concert.